But we authors who evangelized the change are now the skeptics, asking: are these the right questions? Is this transition derailed before it starts? Of course, the transition to tomorrow’s operator will require new technology, and it will require new processes. But it will also require profound structural changes – one of which is the reintegration of operations, call centers, sales, and business units. Yes just like we are integrating our OSS and BSS products we must also, hand-in-hand, enable seamless collaboration in the processes which span traditionally separate business units. Having pushed hard for a decade to have the systemic problems identified and accepted... Having evangelized for rethinking integration, for recreating OSS and BSS applications as services.... Having pushed for intelligent processes that serve the company rather than the organization… We now see operators as eager to move forward with the new. But we now say, ‘do not throw out the old grandmother with the bath water.’ There are clone-able cells in there. Call Centers are a world apart (way apart!). They should not be. NOCs are insular and inward looking. They must change. Sales push the products. They need to service the customer. Everyone needs to service the customer. The company serves the customer. Just as Network Management is evolving to focus on managing the customer’s network experience, so too are Network Operations Centers (NOCs) changing. They are evolving away from solving only network performance issues and toward solving service issues. In effect, NOCs will become SOCs (Service Operations Centers). To make the transition successfully to customer-centric operations, we need to reexamine the processes, behaviors, and scope of responsibility of Operations with an eye fixed firmly on customer, customer, and customer. Call Centers are a world apart (way apart!). They should not be. Besides correcting things, the company must listen to the customer, negotiate, and provide flexible responses. Introducing the customer into problem resolution is complexity incarnate. Yet, there seems to be no good reason to turn back from customer-centric behavior, so let’s look at some of the steps required for success. 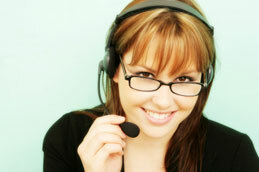 Some operators initially assigned the task of service problem resolution to Contact Centers. But as they stand today, these business units are ill equipped to deal with service issues. Service management tools are not integrated into the Contact Center technology [which we discussed in: Customer Service in the Enhanced Contact Center]. Typically, Contact Center agents are trained, and required, to clear calls as quickly as possible. Traditional Agent Desktop software in Call Centers just includes list of “codes”. Codes to be selected to describe the type of problem; codes to indicate the type of resolution; codes which indicated whether we believed the customer’s complaint, or choose to initiate a credit as a gesture of good will. And these systems often contain only a simple free-form notes area for capturing any detail of the problem, to be used at the discretion of the Agent. The notes field is seldom filled because the time between ending a call and being pushed the next call to answer, is so short it does not allow agents more time than that necessary to take a deep breath before greeting the next irate customer.